When the protests are over, a guide to creating long-lasting social change beyond the barricades From the Women’s March in D.C. to #BlackLivesMatter rallies across the country, there has been a rising wave of protests and social activism. These events have been an important part of the battle to combat racism, authoritarianism, and xenophobia in Trump’s America. However, the struggle for social justice continues long after the posters and megaphones have been packed away. After the protests are heard, how can we continue to work toward lasting change? This book is an invaluable resource for anyone invested in the fight for social justice. Welch highlights examples of social justice work accomplished at the institutional level. From the worlds of social enterprise, impact investing, and sustainable business, After the Protests Are Heard describes the work being done to promote responsible business practices and healthy, cooperative communities. The book also illuminates how colleges and universities educate students to strive toward social justice on campuses across the country, such as the Engaged Scholarship movement, which fosters interactions between faculty and students and local and global communities. In each of these instances, activists work from within institutions to transform practices and structures to foster justice and equality. After the Protests Are Heard confronts the difficult reality that social change is often followed by spikes in violence and authoritarianism. It offers important insights into how the nation might more fully acknowledge the brutal costs of racism and the historical drivers of racial injustice, and how people of all races can contain such violence in the present and prevent its resurgence in the future. For many members of the social justice community, the real work begins when the protests end. 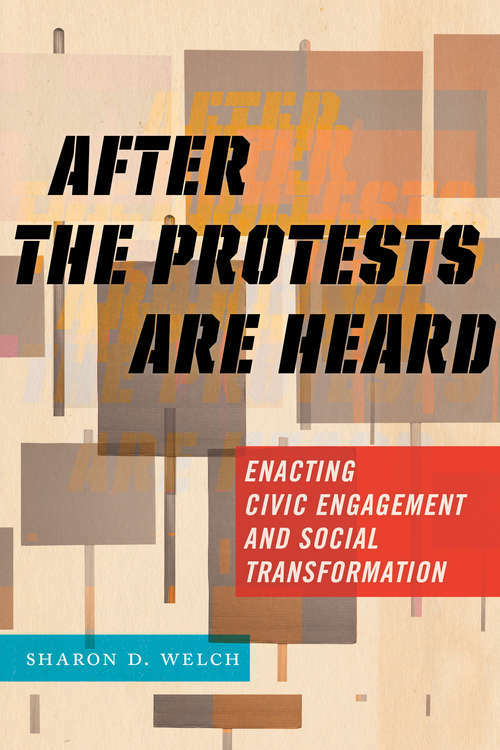 After the Protests Are Heard is a must-read for everyone interested in social justice and activism – from the barricades and campuses to the breakrooms and cubicles.